By Admin on 31 January 2012 . 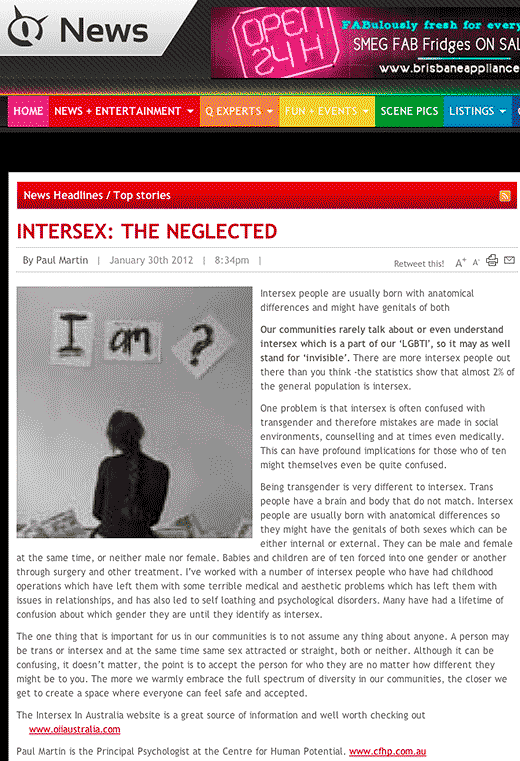 Our communities rarely talk about or even understand intersex which is a part of our ‘LGBTI’, so it may as well stand for ‘invisible’. There are more intersex people out there than you think -the statistics show that almost 2% of the general population is intersex.